Welcome to Meals on Wheels of Evansville, Inc. Meals on Wheels of Evansville serves a wide range of people, from the young person hurt on the job, to the middle-aged recovering from surgery, to the elderly, who have special needs. 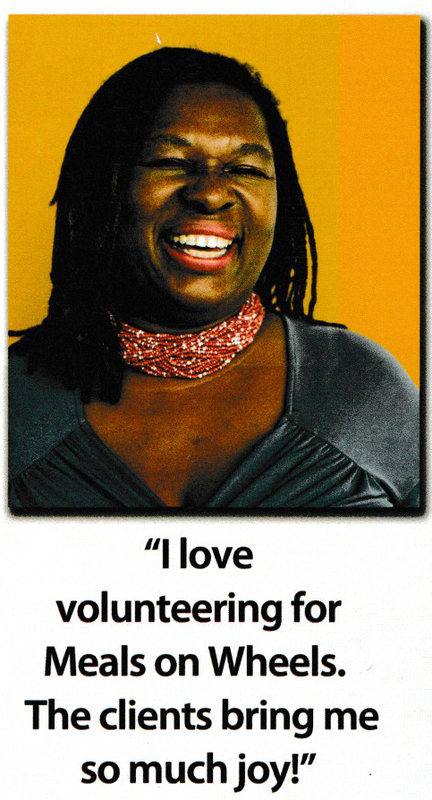 It is the only program in the city that accepts people of any age. Clients are both short-term and long-term. 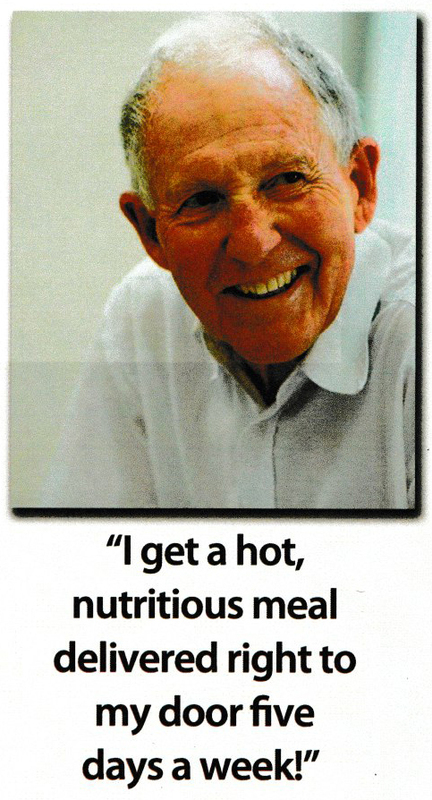 Nutritionally appropriate diets are available according to the physician's order on the client's application. The meals are prepared under the supervision of the dietitians at Deaconess Hospital and St. Vincent's Medical Center. 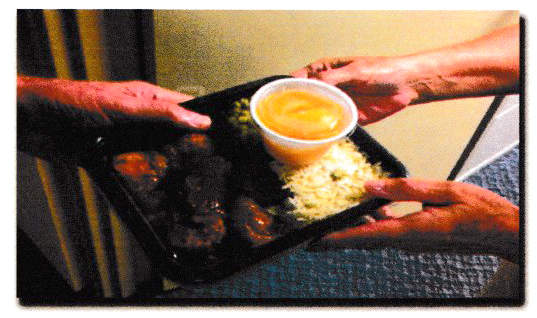 A nutritionally balanced hot meal is delivered over the noon hour, five days a week, by Meals on Wheels of Evansville volunteers in vehicles that are owned by Meals on Wheels of Evansville and marked appropriately. No deliveries are made on weekends, holidays or days when inclement weather makes driving conditions hazardous for our volunteers. There is a weekly fee assessed to the client, which covers the cost of the meals. 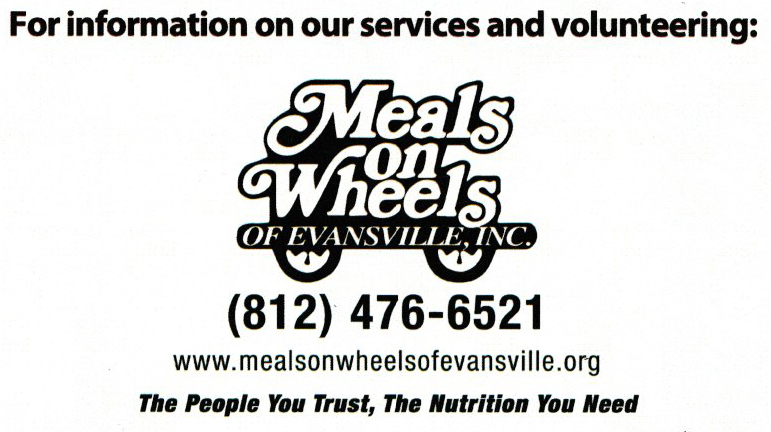 Call the Meals on Wheels of Evansville office at 476-6521 for details or print out our Client Application, complete including physician's signature and mail or fax 812-962-5525 to the Meals on Wheels of Evansville office. 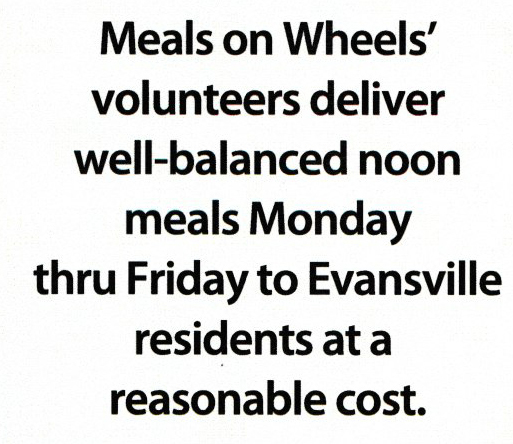 Meals on Wheels of Evansville now has a Public Service Announcement! After watching it, please share it on your facebook page and help get the word out! Use Giving Assistant to save money and support Meals on Wheels of Evansville Inc.
Shop at Old Navy, support Meals on Wheels of Evansville Inc. at the same time! Do more with your cash back at Giving Assistant.